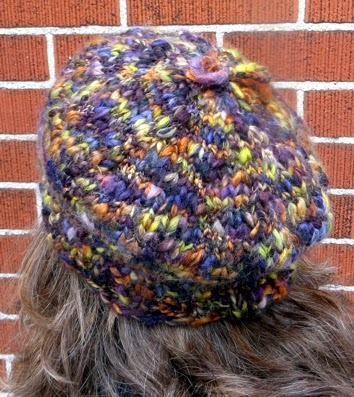 So many people asked about the pattern for my recent handspun hats, I decided to make it a top priority - and here it is! 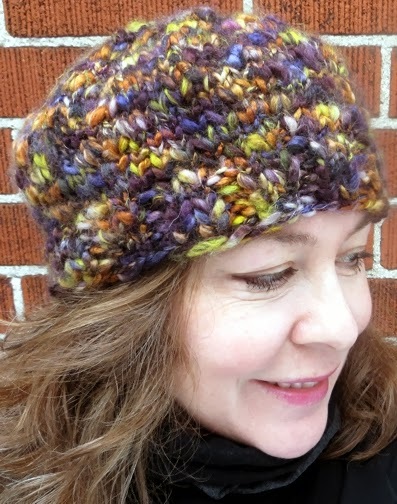 I was so glad to find yarn that replicates handspun because this hat does make a great, fast gift, and Valentine's Day is coming up. I always celebrate Valentine's Day as a time to do a little something special for anybody you care about - love covers so much more territory than romance after all. The handspun wool I used originally has a lot of bounce and stretch. 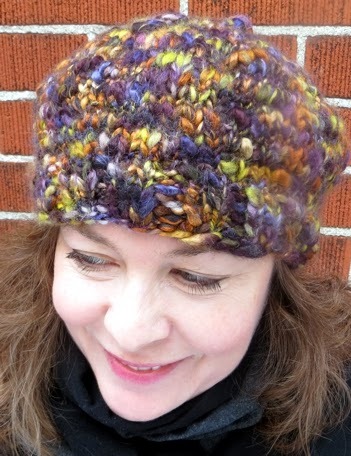 This one is a commercially spun wool/acrylic blend and it's not as forgiving, but the fit is much the same. 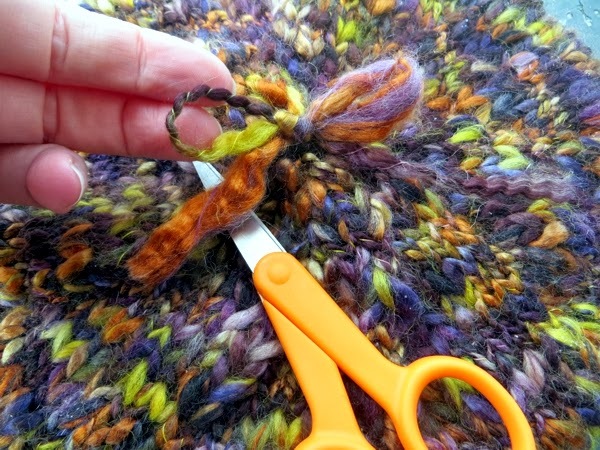 I've included notes for yarn substitution in the pattern itself so you don't end up with something too big or small, because there is only one size written. One size is really enough though, because the same hat fit all four of my friends and me, and our heads are all very different sizes. The ribbing is stretchy, the hat is roomy, and so many people wear their hats tipped back on their heads anyway. 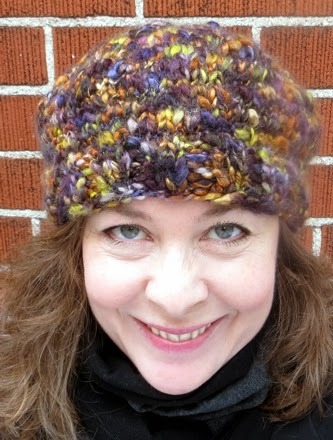 If you want your hat to be a bit smaller for a younger girl, or a bit larger for somebody with extra big hair, just play with your needle size a bit. This pattern calls for 3 stitches to an inch in stocking stitch - 3.5 stitches is enough to make a very large hat, and 2.5 stitches a child size. It'll still be fast though: each of mine took up about 3 hours of knitting time. 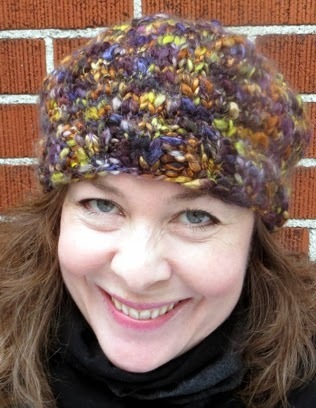 My favourite feature of the way I wear the hat is that it has an almost Russian look with its fullness toward the crown. Looks so much more balanced over a heavy coat in cold weather than a snug fitting cap. Traps more heat, too, which is pretty valuable these days. And that's that! If you make one of these for a friend for Valentine's, I hope you enjoy the knitting as much as she does the wearing. Easy. 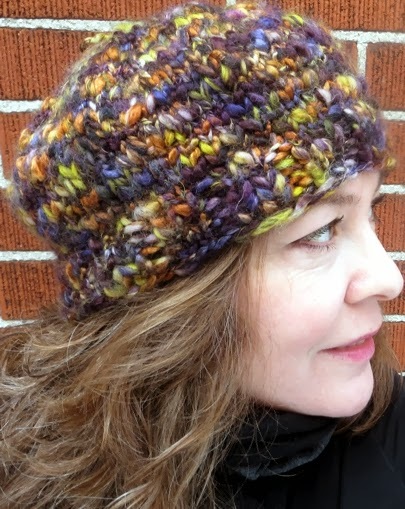 This hat is knit in the round on double-pointed needles, or on a 16" circular with a switch to double-pointed needles for the crown; you'll also need to know how to knit into the front and back of a stitch to increase, and knit two together to decrease. One size, with a 21" ribbed band that stretches comfortably to 25"
Thank you!! With this unusual weather that we are having this hat will be nice and warm!! I'm sure I'll have to make up several for friends and neighbors, they are not accustomed to the wintry weather! That's exactly what I was thinking when I rushed to put the pattern together Marianne - this winter has just been so bizarre, I've been knitting warm things for friends and neighbours since Christmas! Oh Gresha, I am sorry to hear about the socks :^( Hope they go better this time around! Thanks for the patterns. They are wonderful! Thank you for sharing your beautiful patterns! 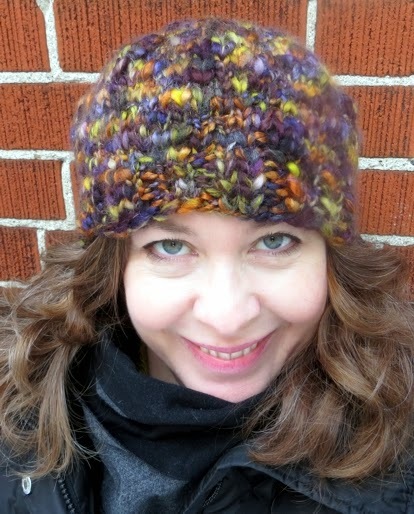 I knitted the Instant Love Hat as a gift for my sister and loved it so much I made one for myself. I can't wait to try some of your other patterns. You have such a wonderful way with your blog!